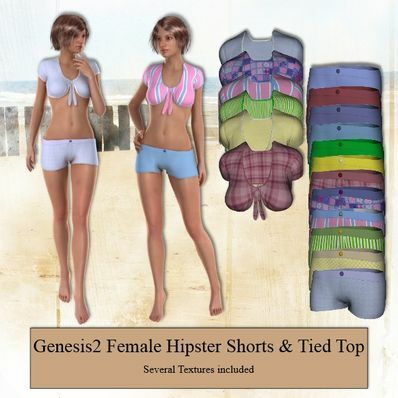 Hipster Shorts & Tied Top for Genesis 2 Female for use in Daz Studio 4.6. Love your Items I'm not good with 3D but your items seem to work so easy. Well done! worth donating for alone.